Gelatin printing is a form of monoprinting in which a gelatin slab is used as a “plate” to create images—no press is required. 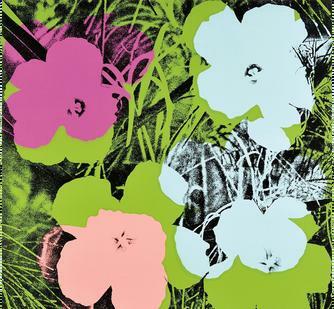 Class will use Andy Warhol’s flower series for inspiration, interpreting his silkscreen process with gelatin printing to achieve a similar result. The gelatin monotype process is best approached with a spirit of experimentation: challenge yourself to be as flexible as the material and create soft and dreamy one-of-a kind prints.